FAQ About Be-Psychic.com, The ultimate training course in psychic development, ESP, and Astral Travel! Got questions? Don't worry, we can help! 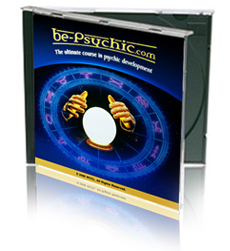 Here are answers to some of the most commonly asked questions surrounding our "Be Psychic!" course kit. Q. What is "Be Psychic"? Q. What's included in the "Be Psychic" kit? Q. Tell me more about your 100% guarantee? Q. Will this kit work on my computer? Q. How do I receive support? "Be Psychic!" is a revolutionary new psychic development course, from self-development author Bradley Thompson. The "Be Psychic!" course also includes three audio CDs and a software bundle designed to help heighten your intuition while you're having fun! The entire "Be Psychic!" course contains three training books by Bradley Thompson, three audio CDs containing bonus material, and a selection of top-quality psychic software. 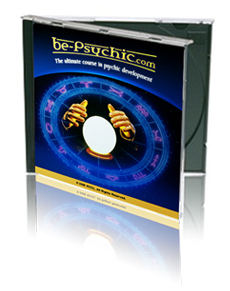 EVERYTHING in the course has been designed exclusively for the Be-Psychic.com site - and is NOT available in stores! You'll also receive over $130 in FREE bonus tools, FREE international shipping and handling, and FREE lifetime support. Note that the books are in electronic format and everything is provided on three mixed data/audio CDs. And don't worry, these CDs WILL work with regular CD audio players. We guarantee that you'll be absolutely thrilled by the entire course. That's why we invite you to try it out absolutely RISK-FREE for three whole months. If after that time you're not absolutely delighted, simply return the package for a prompt refund - minus our original shipping and handling costs. That's our iron-clad guarantee. No small print. No questions asked! The "Be Psychic!" course requires a PC running Microsoft Windows. That's it! We're available around the clock to answer your queries, whether they're technical or spiritual! You can contact our team 24/7 via our dedicated support site at myHelpHub.com. We're also frequently available on live chat, so you can always get the answers you need - quickly! We provide 24/7 assistance via our dedicated support site at myHelpHub.com. We promise to respond to all messages within one business day, however our typical response time is just four hours. We're also routinely available for online chat support. To contact us, please click here .